A nuclear reactor unit at Indian Point has been closed down to repair a water leak, plant officials said. New York’s aging nuclear plant has been plagued by problems, and is currently operating under a temporary license. “There is no ongoing leak and there was no challenge to safety, however the plant needs to be shut down for weld repairs to be completed, in accordance with Nuclear Regulatory Commission (NRC) regulations,” Entergy Corporation said in a released statement. “The unexpected shutdown of the reactor at Indian Point 2 because of the weld leak is just the latest example of the repeated and continuing problems at the plant,” Governor Andrew Cuomo (D-New York) said in a statement. Cuomo has repeatedly called for the shutdown of the 43-year-old nuclear plant, located just 50 miles from densely populated New York City. The nuclear power company only just returned Unit 2 to service on June 16 ‒ despite objections from lawmakers, residents and environmental groups ‒ following a $120-million inspection and upgrade of plant equipment and systems after a planned shutdown in March. During that shutdown, inspectors discovered more than 200 bolts needed further analysis, and some on the reactor’s inner liner were missing, the Associated Press reported at the time. Entergy said the repairs had included replacing 278 bolts on removable liner inside the reactor. “The levels of back-up safety precautions now installed at Indian Point are unprecedented and, while unlikely ever to be needed, they make the facility safer than ever,” Larry Coyle, site vice president at Entergy’s Indian Point, said in a statement last week. In the last 11 years, Indian Point has had nine incidents, including transformer fires and leaks in spent fuel pools. At one point, its reactor shut down because a bird was defecating on power lines. Despite these mishaps, it “is safe, and it is operating safely,” Entergy Corporation spokeswoman Patricia Kakridis told RT earlier this year. She then blamed opposition groups for delaying the plant’s license renewal. The facility is currently operating under a temporary license, but there has been damage discovered in at least one, if not two, of the site’s nuclear reactors, Paul Derienzo, an investigative journalist who has been covering Indian Point for decades, told RT. “Recently, it was discovered that there was quite a lot of damage inside of Unit 2, and there’s some fear of damage inside of Unit 3, which might extend and it’s definitely led to a situation where there is now a lawsuit to prevent the restarting of Unit 2 and to shut down Unit 3 for an earlier inspection based on these problems and damages that were discovered in the last few weeks,” Derienzo said in May. 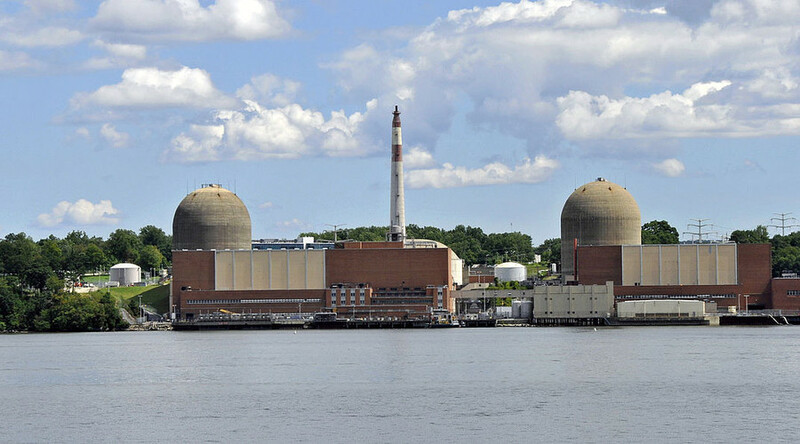 Indian Point in Buchanan, New York operates two nuclear power plants, Unit 2 and Unit 3, which generate approximately 2,000 megawatts of electricity for homes, business and public facilities in New York City and Westchester County.